Chinese government departments have jointly issued a notice about key software enterprises included in China's national planning layout for 2009, stating that these enterprises can pay their corporate income tax at the preferential rate of 10%. 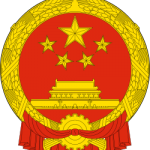 These departments, including the Ministry of Industry and Information Technology, National Development and Reform Commission, Ministry of Commerce, and State Administration of Taxation, will implement the State Council's policies to encourage the development of China's software industry and integrated circuit industry, and to promote the rapid development of key software enterprises. They have jointly checked and added to the list of key software enterprises included in China's national planning layout for 2009. According to the notice published by the four departments, enterprises included in the list that did not enjoy a corporate income tax rate of lower than 10% in 2009 can pay their tax at the preferential rate of 10%. The 186 enterprises include well-know names such as Datang Software, UFIDA Software, Hanwang Technology, Kingdee Software, Hundsun Technologies, Alibaba, Samsung, Canon, Ricoh, and Tencent.